Carnival Cruise Line has this week announced it will be adding two of Australia’s leading beauty and style experts to its Melbourne Cup cruise, both of whom will be helping cruise passengers spruce up before the world-famous derby. Renowned celebrity stylist Penny Hunt and Beauticate founder Sigourney Cantelo will be aboard Carnival Spirit during its 8-night round-trip Melbourne Cup sailing — whose fare includes access to the Flemington for the Cup and Oaks Day races, as well as transfers to and from the event on race day. Having each served as Beauty Editors at fashion and beauty magazine, Vogue, Hunt and Cantelo possess all the right attributes to make them suitable candidates to dish out beauty and style advice to cruise passengers before the horse race in Melbourne. During the voyage, the pair will be offering beauty and style workshops to passengers, as well as a fashion presentations and advice on the latest looks direct from the high street. Departing 30 October for 8-nights, Carnival Spirit’s Melbourne Cup cruise will also feature Carnival’s ‘spooktacular’ Halloween festivities, before race fever sets in, leading up to the event. As well as style and beauty advice for the ladies, famed race caller, John Tapp, will be sharing his knowledge of the cup during a Q&A session. There will then be a special Cup-themed dinner, followed by a discussion with beloved racing personality, Richie Callandar, who will return to Carnival Spirit to impart his knowledge and advice before the race. 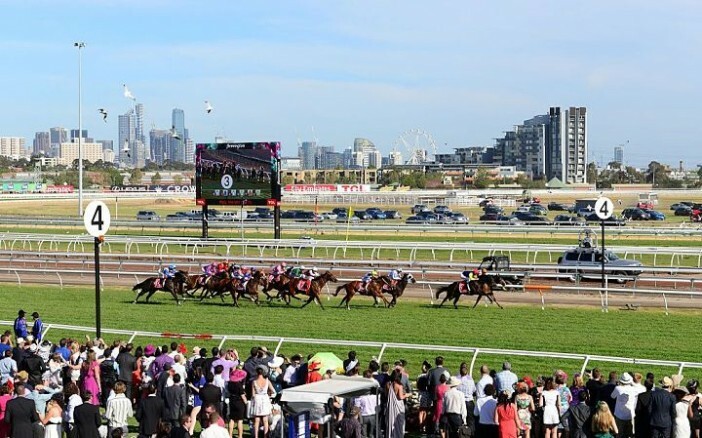 Other racing themed activities taking place aboard Spirit include special dining experiences, racing sweepstakes, and a behind-the-scenes tour of the Cup at Flemington. If you’re interested in booking your place on the special Melbourne Cup Cruise, visit our dedicated Carnival Cruise Line page or call our friendly sales team on 1300 857 345. Image sourced via Flickr Creative Commons and Wikimedia Commons. Credit: platibolo and Chris Phutully from Australia [CC BY 2.0].